Maersk Drilling USA is laying off 84 employees who work aboard the Maersk Viking (UDW drillship), located in the Gulf of Mexico, and report directly to the company’s office in Houston, Houston Chronicle reported quoting data sent to the Texas Workforce Commission (TWC). The employees, who received notification of the layoffs on Jan. 12, report to the company's office at 2500 CityWest Boulevard. They will continue to work for the next two months until their employment is terminated, according to the WARN notice. GE and Maersk Drilling have partnered for a data analytic-driven pilot project that aims to increase Maersk’s drilling vessels’ productivity and reduce maintenance costs by up to 20 percent. The two companies have collaborated to deploy SeaStream Insight, GE’s latest innovation in marine asset performance management, powered by Predix. The pilot project will be carried out on one of Maersk Drilling’s XLE rigs and will last for 12 months. Currently, the project has reached its first milestone, with data collected from the rig currently being processed and analyzed online. 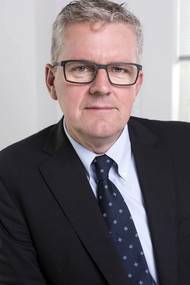 Steen S. Karstensen has been appointed CEO of Maersk's offshore services arm, Maersk Supply Service, with effect from October 24. Karstensen comes from a position as Chief Procurement Officer and takes over from Jørn Madsen, who was recently appointed CEO of Maersk Drilling, effective November 7. 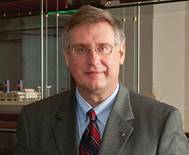 Karstensen joined the Maersk Group in 1986 and has had led a 30-year-career with the company in procurement, logistics, supply chain, in-house consultancy and other cross-functional areas. Maersk Drilling, a unit of Danish conglomerate A.P. Moller-Maersk, will cut up to 140 jobs in Norway due to lack of work for two rigs, the drilling company said. The jack-up rigs Maersk Gallant and Maersk Inspirer are expected to have finished their jobs in August and December respectively and negotiations are under way with the employees' union, a spokeswoman said. Maersk Galant is currently hired by France's Total while Maersk Inspirer is hired by Norway's Statoil. The job cuts correspond to four percent of Maersk Drilling's total workforce. Danish shipping and offshore energy conglomerate, Maersk Group, kept a reduced forecast made two weeks ago for a 2015 underlying profit of $3.4bn, down from the $4.0bn previously expected. The Danish shipping giant said on Friday that lower oil prices and lower average container freight rates had hurt its earnings. The Maersk Group – and especially Maersk Line – was severely impacted by continued low economic growth and significant market imbalances. Global container demand is expected to have grown by 0-1%, whereas the global container fleet grew by almost 9%. Maersk Drilling delivered a profit of USD 218m (USD 117m) in the second quarter of 2015. The result was positively impacted by continued strong operational performance, fleet growth, general cost savings and a USD 29m payment related to the divestment of the Venezuelan activities in 2014. The result was negatively impacted by three rigs being idle. The underlying profit for the quarter was USD 189m (USD 117m) generating a ROIC of 10.6% (7.2%). “We are very pleased with the result given the adverse market conditions. Angela Durkin from Baker Hughes will join Maersk Drilling as new Chief Operating Officer (COO). She will assume her new role 1 May 2015 taking over from Jørn Madsen and report directly to CEO Claus V. Hemmingsen. “We are very pleased that Angela Durkin will join Maersk Drilling. Angela brings vast experience with her from Baker Hughes, and with her technical competencies and enormous international experience from an oilfield service provider in the drilling industry, she is just the right fit for Maersk Drilling. A.P. Moller-Maersk's oil industry service companies Maersk Drilling and Maersk Supply Services, are to cut staffing at their Danish head offices due to the slump in oil prices. Oil companies and as a result the firms servicing them, have slashed spending and cut jobs since crude oil prices have fallen by over 50 percent since July last year. Maersk Drilling said on Wednesday it would cut 90 positions, 20 percent of the workforce at its main office, while sister company Maersk Supply Services will cut 30 jobs at its head office, where it employs some 200 people. In a ceremony held at GMC Marine Partners yard in Mekjarvik in Norway, Mrs. Anita Utseth, Senior Vice President in Det norske oljeselskab ASA (Det norske) had the honour of naming the ultra harsh environment jack-up rig Maersk Interceptor. Maersk Interceptor is the second in a series of four ultra harsh environment jack-up rigs to enter Maersk Drilling’s fleet. The four jack-up rigs represent a total investment of USD 2.6bn. Maersk Interceptor will commence a five year firm contract with Det norske for drilling the Ivar Aasen field in the Norwegian North Sea in December 2014. Cabinda Gulf Oil Company Limited, a Chevron subsidiary in Angola, has extended the current contract for the ultra deepwater semi-submersible Mærsk Deliverer expiring in June 2015 by two years. Mærsk Deliverer has since 2012 been working for Chevron and its partners on the Tombua Landana field offshore Angola. With the contract extension the rig will be on contract until June 2017. The estimated revenue potential from the two-year contract extension is USD 387m plus compensation for cost escalations over the contract period. Denmark's A.P. Moller-Maersk said on Wednesday it would invest billions of dollars in new ships, reap hundreds of millions in savings and announced valuable contracts for its drilling rigs. But shares of the world's largest container shipping company fell more than 3 percent, partly because it failed to announce any of the initiatives the market had anticipated for its investor day in Copenhagen. Analysts had hoped that Maersk would say it had sold a big oil asset in Angola, which would have cut future capital investments, or unveil an increase in its payments to shareholders. Petronas Carigali, the Exploration and Production subsidiary of the national oil company in Malaysia, has extended the contract for the jack-up rig Maersk Convincer by one year. Consequently, the rig will be on contract with Petronas until mid-November 2015. The estimated revenue potential from the one-year contract extension is USD 56 million. “We are very pleased to continue working with Petronas Carigali and see this extension as a further strengthening of our relationship. The Mærsk Deliverer rig team has initiated seven local acceleration programmes in Angola. The goal is to train and develop local talent to take on increasingly challenging positions on-board the rig. To do so, experienced employees play a key role. In 2014, the rig team on Mærsk Deliverer initiated seven local acceleration programmes as part of a localisation plan focusing on employing, training and educating local talent in Angola. The experienced offshore employees have worked closely with the rig team to get the local acceleration programmes up and running.